Spring showers make for lots of mud out here on our farm. A labradoodle on the farm was probably not the smartest choice but you can't help it when you fall in love. Max, our wonderful boy, finds himself in the shower often. He has that great doodle coat and super hairy ears that tend to get greasy and gross. For this reason, my family loves to use Pink Pup Shampoo on him. It has a de-greasing component to it that cuts that funk and just really cleans his curly coat great. 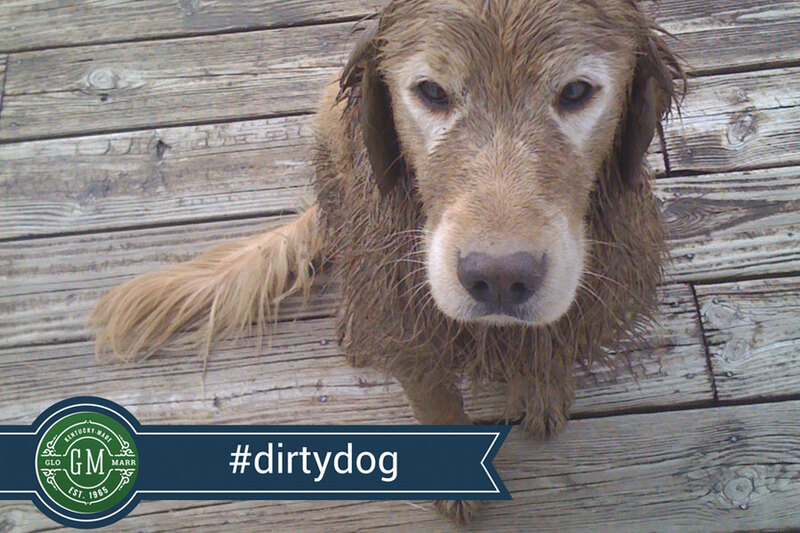 If you have city dogs that don't get as muddy, you can use our Dry Shampoo to spot clean. It makes life easier when you don't have to get them in the tub. Then there is the skunk situation. The skunks have been a problem for our doberman, Zeus. He just can't resist them. So, I typically walk him on a leash if the sun isn't up. Zeus and the skunks never meet at a time that suits me. It is either right at bed time or right before I am leaving for work. I’ve learned there is never a good time to meet a skunk, however if and when you do, I’ve found the ultimate skunk solution though. The solution is Dawn dish washing liquid, baking soda and peroxide. You mix it up and then pour over your dog prior to getting your dog wet. Here is the important part... the dish washing liquid is full of detergent and it strips the coat of all their natural oil... skunk oils, natural oils, so you have to follow up with a great moisturizing shampoo like our Kalaya Emu Oil Shampoo and spray. Any detergent based shampoo will strip your pet's coat- so if they are really scratching or flaking it could be the shampoo you are using. We have been making detergent-free shampoo since 1965. If your dog meets a skunk... well, all I can say is bless your heart! Here’s to hoping spring flowers will be popping up soon... daffodils are my favorite because they remind me of Grandmother, and even more hopeful that my Kentucky Wildcats last longer in the tourney than those Louisville Cardinals... if I have to explain, you wouldn't understand! It's a Kentucky thing. Be watching for our #DirtyDog contest... send those pictures in using that hashtag and win some of our handcrafted pet products. Happy spring from Big Blue Nation!